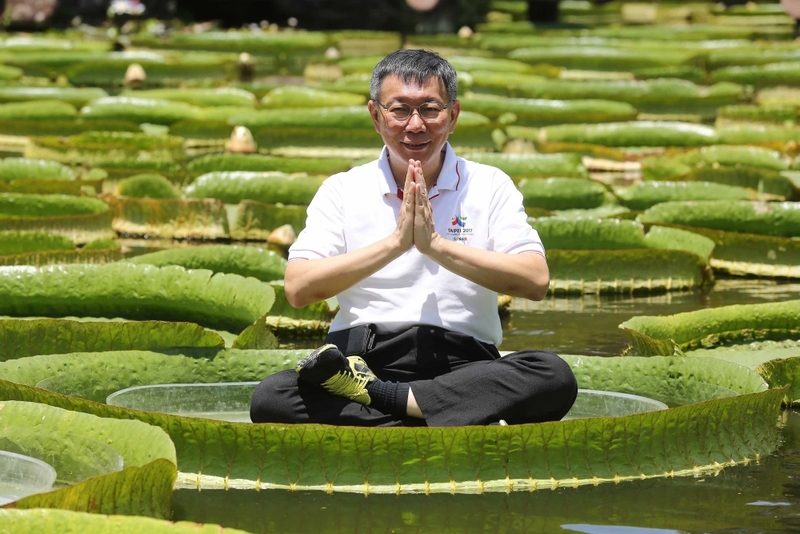 TAIPEI (Taiwan News) -- Taipei's Mayor Ko Wen-je (柯文哲) was photographed Wednesday sitting in a lotus pose on a giant water lily in the city's Shuangxi Park (雙溪公園) to promote the park's annual giant water lily exhibition that starts on August 15. 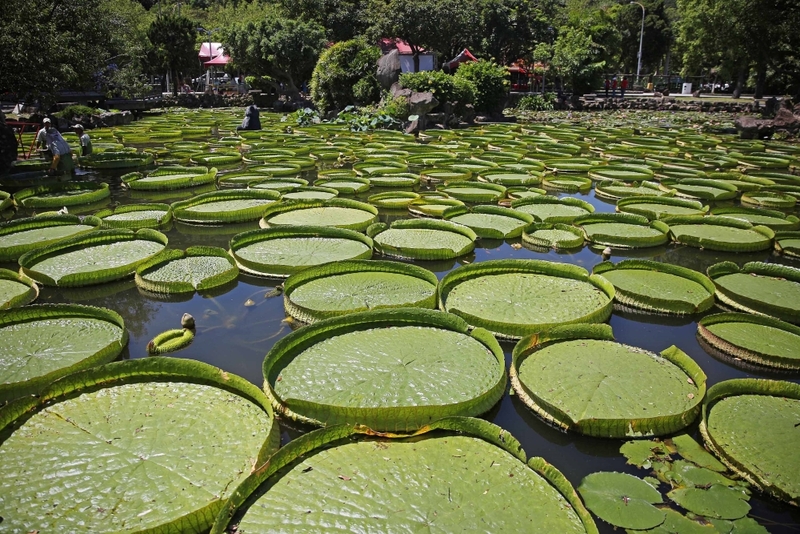 Native to the tropical regions of South America, giant water lilies (Victoria amazonica) were introduced to Taiwan and cultivated in Tainan and Taoyuan. 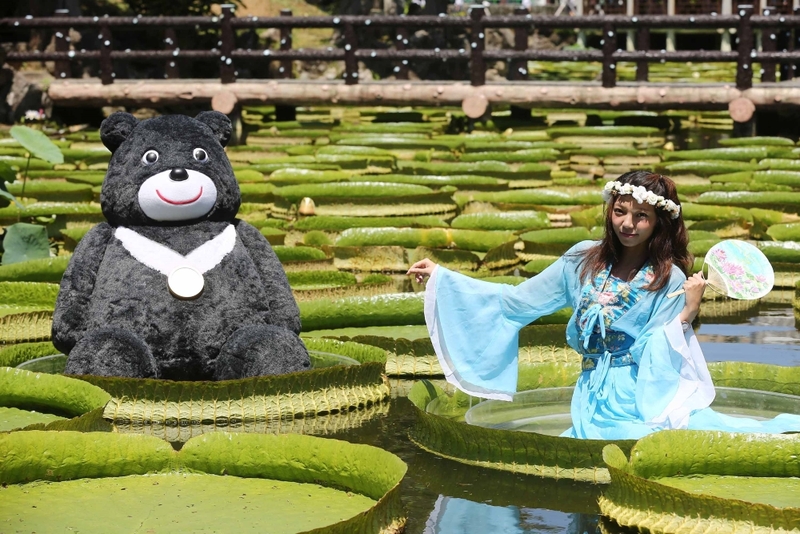 Taipei first held an exhibition featuring these rare plants in 2013, followed by a well-received activity in 2014 allowing individuals to "sit" on the leaves, Taipei City's Parks and Street Lights Office (PSLO) Director Huang Li-yuan noted. 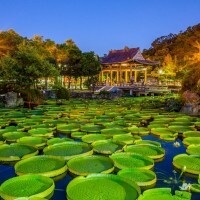 According to the Horticulture Management Division, giant water lilies are known for huge leaves which can grow up to 3 meters (9.8 feet) in diameter and can support heavy objects. However, it takes much effort to protect the leaves from damages due to typhoons and torrential rains, as well as harassment from fish, freshwater snails, and insects. 1. Take Exit 1 of MRT Shilin Station and transfer to Taibei High School Stop by bus 206, 255, 303, 304, 620, R5, or R30. 2. Take bus 645 or Y267 to Shuangxi Park Stop.